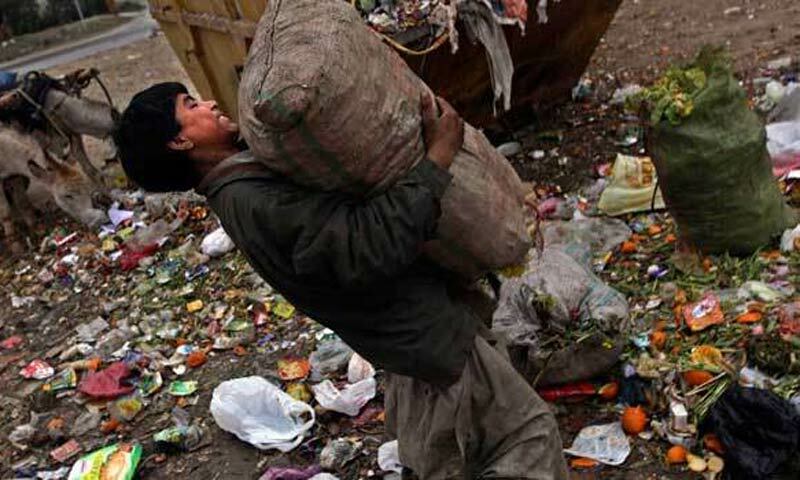 ISLAMABAD: A large number of Asians still live in poverty and suffer various forms of deprivation despite the continent�s rapid growth, and this could threaten the region�s integration, according to a new study published on Thursday. The study �Ending Asian Deprivations: Compulsions for a Fair, Prosperous and Equitable Asia� by Asian Development Bank (ADB) and the National University of Singapore says that despite rapid progress in reducing poverty, recent estimates indicate that more than 660 million people in the continent continue to live in extreme poverty. If the nearly poor were also taken into account, this number would swell to 1.5 billion, or nearly one in every two Asians, says the study, compiled with contributions from 23 Asian development experts. It says continued high population growth is adding to this problem and, in some cases, more people are added to the ranks of poverty each year than are taken out as a result of development efforts. According to the study, the number of people being left behind despite the region�s boom shows that past development efforts have not been sufficient to end poverty and deprivation. It shows that while GDP growth on its own helps reduce income poverty, it plays a much smaller role in reducing other deprivations, like education and health outcomes. New approaches may need to be considered to make growth more inclusive and to promote more effective state action in areas such as skills development, delivery of quality education, and incentives for entrepreneurs. These measures must be carried out in conjunction with institutional improvements and stepped-up partnerships with the private sector and civil society. Policymakers will also need to do a lot more to create conditions for more small-and-medium enterprises to flourish and to reduce the informal sector through actions like improved property rights and access to finance. Other areas where the state needs to increase support include infrastructure, improving urban environments, social protection programs, and the removal of gender inequities and labour market rigidities to boost employment opportunities. Closer regional cooperation is also crucial, with ADB estimating that the roll-out of needed infrastructure for cross-border connectivity will deliver benefits equivalent to about $13 trillion for developing Asia in the decade up to 2020 and beyond. The report says any successful new development approach must have clearly defined goals with a definite time-frame, a credible strategy to achieve them, and a detailed list of public interventions. The study says many countries will likely to fall well short of achieving the MDGs in areas such as basic sanitation, underweight children, infant and maternal mortality, while growing income gaps and other forms of inequity are becoming increasingly acute.